Figure paintings, particularly those depicting immortals or legendary heroes, were popular subjects for commemorative or New Year Pictures. This work is not unsigned, but the calligraphy is unclear and it is only possible to establish that the artist was from Linchuan in Jiangxi province. The extensive use of courtesy words suggests that it was a valued commission. Lin Bu was a Chinese poet renowned among Northern Song dynasty emperors, and whose poems about plum blossoms were greatly admired by scholars, so that his story has become a favourite subject of literati painting. 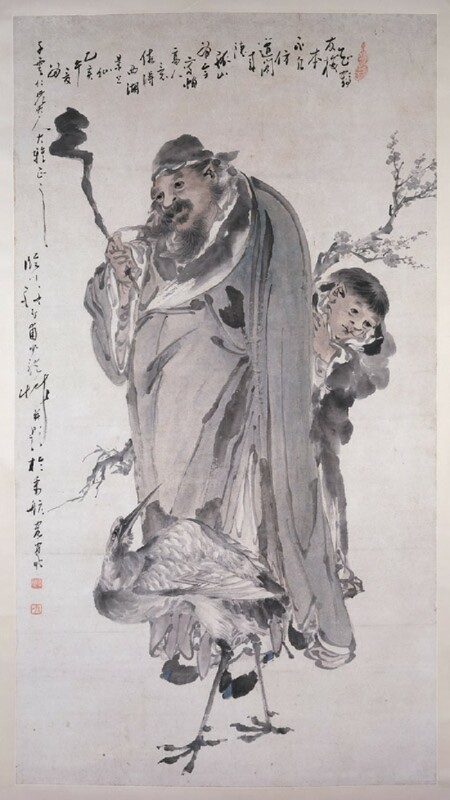 This painting contains almost all of the typical features of a painting of Lin Bu, such as plum blossoms, cranes, and a servant boy. 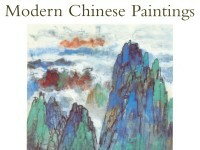 The artist has inscribed a poem at the top of the painting, in which he regards Lin as an immortal in the heavenly scenes of West Lake, and wishes to follow him. As in the painting of Lin Bu by Min Zhen [EA1964.83], the artist mainly applies ink to show a simple and elegant literati taste.